JANSSONIUS -Cracovia Minoris Poloniae Metropolis. JANSSONIUS, J. - Cracovia Minoris Poloniae Metropolis. Cracovia Minoris Poloniae Metropolis. - JANSSONIUS, J. 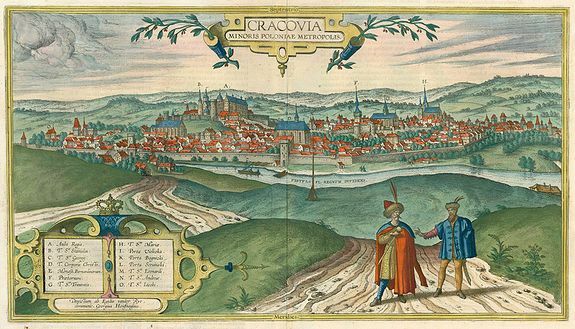 Title : Cracovia Minoris Poloniae Metropolis.. Size : 12.0 x 21.6 inches. / 30.6 x 54.9 cm. Description :Joannes Janssonius rare town-view of Krakow. After Braun & Hogenberg.